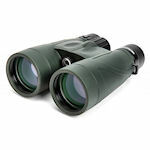 Celestron Nature DX Binoculars are an excellent choice for beginning birdwatchers, butterfly watchers, or anyone interested in nature observation. 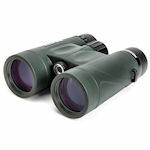 The are among the least expensive roof prism binoculars equipped with phase corrected prisms, an important ingredient for obtaining bright, crisp views. 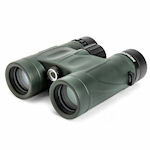 They are lightweight and comfortable to use. Their 6.5' close focus lets you get up close and personal with little critters.